If you are uninsured or have a high deductible, call the SHAC Pharmacy at (505) 277-6306 to find out about the SHAC Pharmacy Discount Program! Hey Lobos! Did you know you can sign up to get text alerts when your prescription is ready? 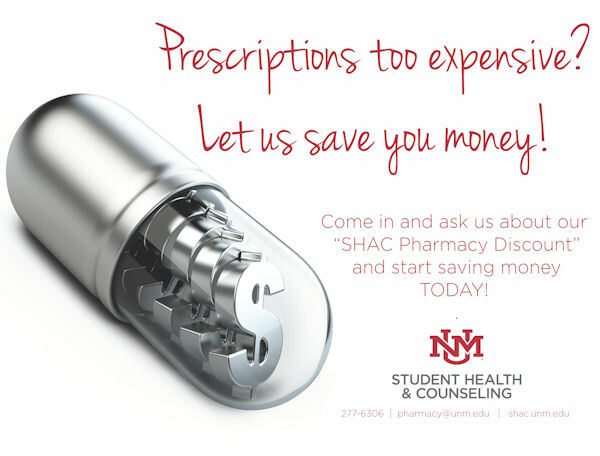 Come into the Pharmacy and ask us how to sign up. 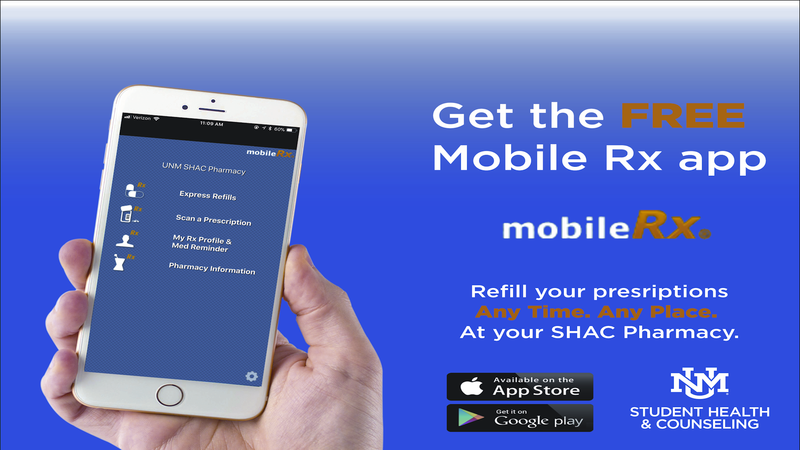 For complete information, please see the SHAC Pharmacy Rx Mobile App brochure. See us for your allergy relief! 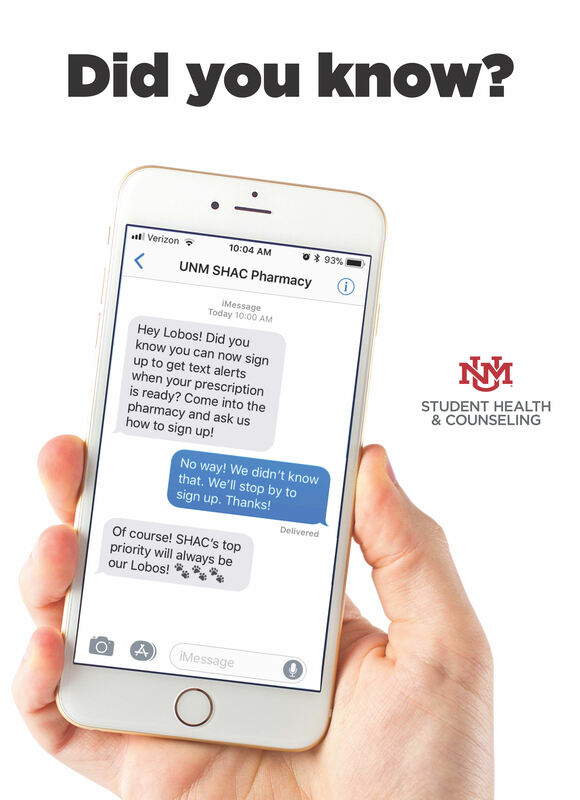 We stock a wide range of brand name and generic over-the-counter preparations, and are happy to help you select a product. If you are planning a trip in the near future, come by for your travel “first-aid” supplies. We have pain relievers, oral rehydration packets, Pepto-Bismol, Band-Aids, Moleskin, antibiotic ointments, and sunscreen.